It rained again all day. The puddles were so deep in the car park of a store I visited, I took my shoes off and rolled up my jeans and sloshed through the water to get back to the car barefoot! But the garden is in the same state. It is really waterlogged. 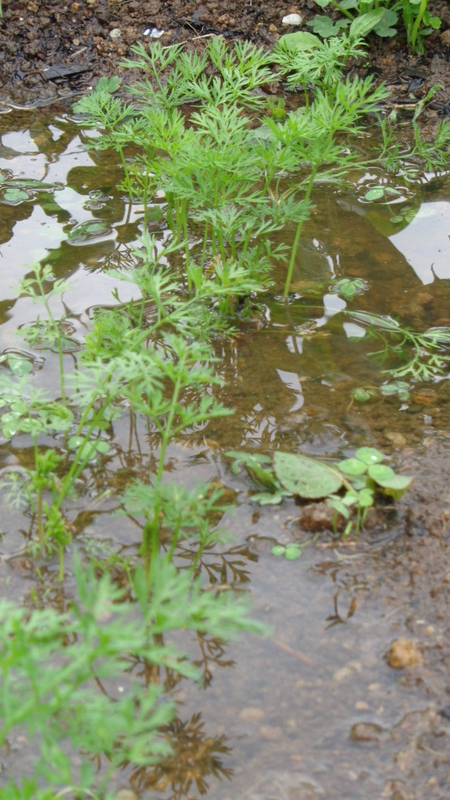 Two days of solid rain have caused that. Funny enough I still had to water my hanging baskets as they weren’t getting any of the abundant rain. But that wasn’t the madness I was referring to. In preparation for the holidays, not only am I worried about the irrigation, but we had to make plans for the animals. We have two secure paddocks that are escape proof and so we have taken the lambs and the goats out of them to allow the grass to grow so when we go away there will be loads for them to eat and all our friendly house sitter needs to do is top up the water and check they are alive and well. So the goats are tethered in the back field loving every moment of being allowed to clear an overgrown corner. 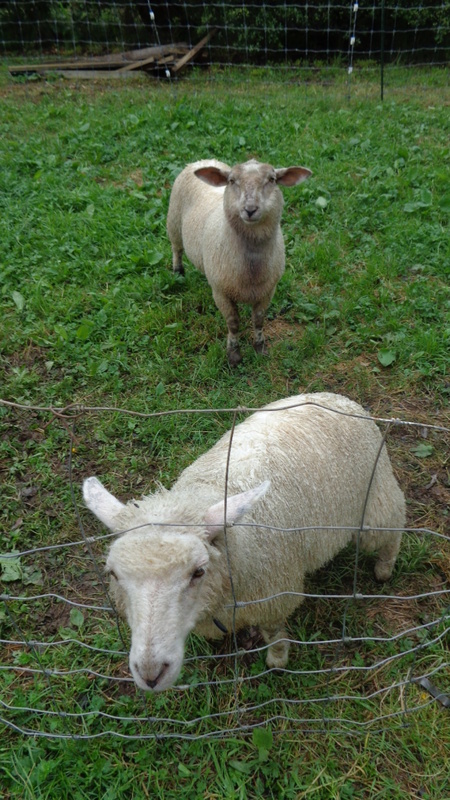 The lambs on the other hand are in a makeshift fenced off area that served them well as baby lambs. But they are almost sheep now and I found out at 1am last night that they need something a little stronger. I woke up to the sound of one of the lambs baaing really loudly. The goats and lambs are such tell-tales. When one does something wrong – like escape or get stuck somewhere, its partner starts making so much noise as if to tell on the other animal and draw our attention to the naughtiness. So I woke to the sound of loud baaing and then I listened again and heard a softer baaing, and in the fogginess of half sleep I realised they weren’t together. That could only mean one thing – someone had escaped. So I leapt out of bed and went to see what was going on. The other problem was Hubby the Un-Gardener was away on a business trip, so I was on my own. My gumboots had filled with water as I wasn’t really expecting this kind of rain in summer – early days that it is, it’s still summer. So I was out there in my bare feet, in my PJs, in the dark. I probably stood in sheep poo. 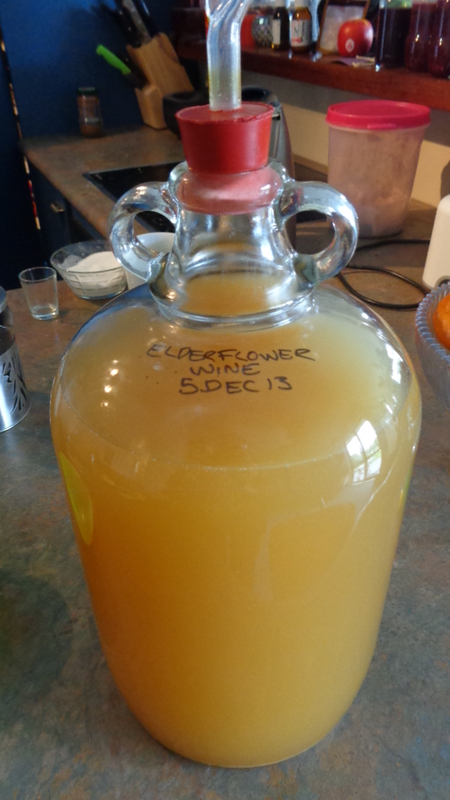 Now this is a good thing – elderflower wine – YUMMO! These lambs are not the friendly, docile calf club lambs who would do anything for a cuddle. They had gone back to the farm. These were the ‘other’ lambs who have had little human contact and definitely no eye contact and so not as easy to manage. So there I was in the dark, in bare feet, by myself, in a lull in the rain – just gentle misty rain and I had one lamb inside the oval fence and one outside. Not sure what to do I chased it round the fence a couple of times. Meanwhile the other lamb was running around on the inside of the fence. I soon realised this was not going to achieve anything so I had a wee think. The oval fence is alongside a hedge on two sides and the corner of the house was opposite. So imagine an ‘L’ shaped grassy area with hedge on the back and bottom of the L and the house in the crook of the L and the ends open, with an oval fence in the middle. Yet another zuke, These things are relentless! Over to one side I spied a pile of wood so keeping the lamb in the far side in the hedge corner, I slowly dragged over loads of wood and blocked off one of the open ends. Then I opened up a gap in the fence to create an inward spiral – muttering under my breath “this could go very wrong!” Then I slowly chased the lamb around the fence away from the blockade and towards the gap. The inside lamb joined in the chase, but when it reached the spiral it was turned back in the opposite direction – phew that bit worked. Then the other lamb followed the line of the fence and the spiral pulled it in. Without a moment to stand there and be surprised that my plan worked, I closed the gap and re-secured the lambs. I then went around and double checked all the posts and made sure it wouldn’t happen again – well not that night. Then I washed my feet and hopped back into bed completely unable to sleep. How I had my zucchini today. 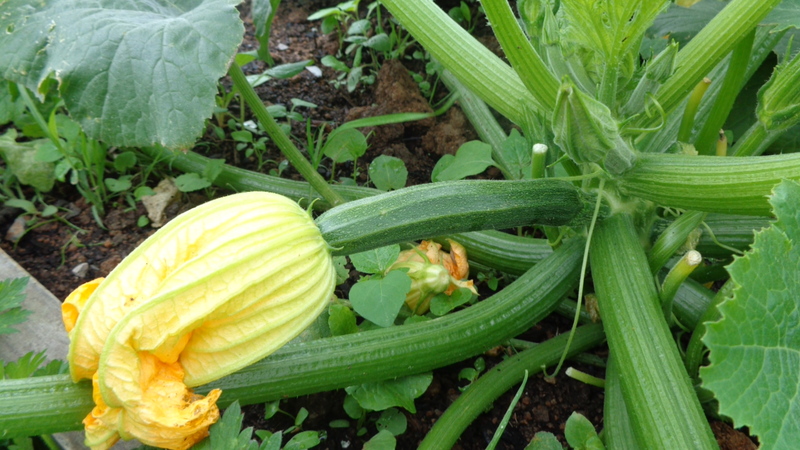 The rain caused 5 new zucchinis to grow, but I got them while they were little and now they are in the fridge. 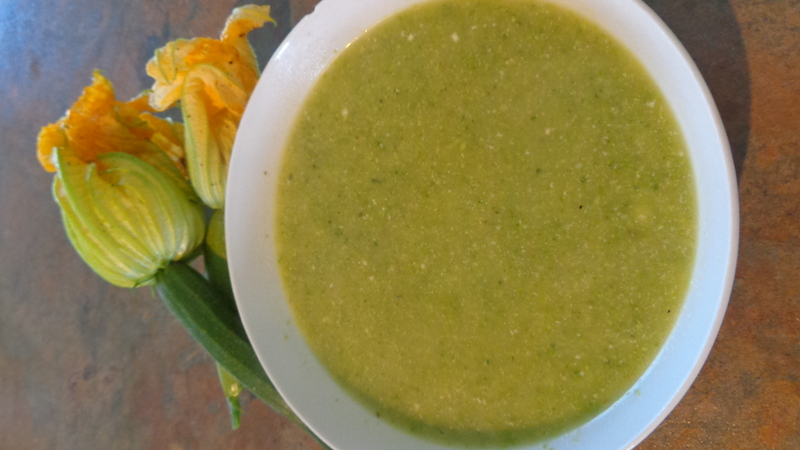 They are the only ones there because I took advantage of the fact that the weather felt miserable and made zucchini soup. The Joeyosaurus gobbled it up, however Tim the helper was away at school camp when we had the chips and so he is still very suspicious and didn’t eat much at all. Come again soon – the boffins reckon the rain should be mostly stopped tomorrow. Here’s hoping – I need to dry out. ← Are you sure it’s summer? I think lambs are the most persistent escape artists I know, worse than goats and pigs. Well done for formulating a plan in the middle of the night and pulling it off! Hi Kate. Up until now the lambs have been really well behaved. Other years they were out and about almost every other day. The goats on the other hand are a lot more settled now they are getting older and often if they find themselves free, don’t actually go anywhere. Well – for now anyway. We haven’t tried pigs. I was surprized myself how well the plan came together – it could have gone so very wrong! Well done you with your sheepy problem! They always say that necessity is the mother of invention! I guess any great idea that works and comes when you should be sound asleep has to be a bonus. I just need to have great ideas like that in the day time when I am fully awake! Hi Fran. I think optimism is one of the key tools for any gardener as no season is going to be perfect and unless you can look past it all and cling to the thought that there is always next season. Besides things need to be a catastrophic disaster to prevent you getting something – anything to eat! I figure if you spread the food love around all over the place you should at least get SOMETHING. I found a stack of little cherry plum seedlings at the beach where we took our dogs for an afternoon walk yesterday. I used a screwdriver to loosen the soil and got a fair few of them with roots out of the ground. They were growing on the road verge and would have died in the summer heat but now they can be grown on and can become part of my “plan”. I will be removing the Photinea that run along the boundary fence and am going to replace them with Washinton hawthorns (for bird habitat and berries for the birds) intersperced with cherry plums in an effort to lure the possums to the perimeters of the property. I figure (probably stupidly but hey, its not the first time I was stupid! 😉 ) that if they can get a huge feed of cherry plums right on the boundary line why would they bother to bumble along onto the property into the dog danger line? I am madly planting out loquat seeds for the same reason. I don’t care if loquats, figs, quinces, olives and cherry plums spring up all over the place. Whatever food grows best here is what we are going to grow. I am a strong believer in growing what suits your conditions. No prissy spoiled plants here. Which reminds me… “anyone want some prissy spoiled potted specimens?” 😉 We have a LOT of them to give away as we no longer want them. What a long night! Great thinking for being in the dark in the middle of the night. Hi Virginia. I surprised myself! I am so glad it worked out well or it would have been a really really long night. The last thing I would want is lambs in my garden. Or for them to disappear. The animals can be such characters.